← Will the Mermaids Sing to Me? 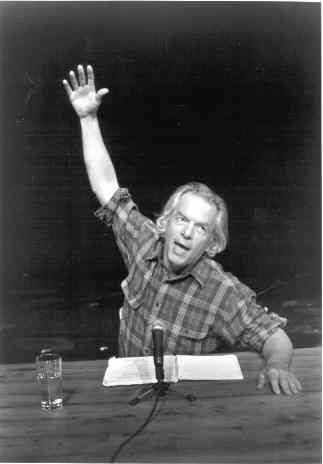 Okay, so my big goal with this whole Coachella Experience is to have some sort of Perfect Moment of the Spalding Gray variety. Of course, I’m not greedy. If it can’t be ‘perfect’ I’ll accept transformative. At the very least, I’ll settle for a sign. But this means I have some homework to do. Does it make my heart pound or cause me anxiety? If it does, I scratch that band off my list. Does it make me happy? I’m talking about a general feeling of joy similar to what I experience when I look at polka dots or multi-color stripes (Crate and Barrel has a line of striped table linens that brings me serious joy). If so I put it on the list for both of us to check out. Is it sufficiently dreary? Tubbs was the first to name my ‘dreary’ side. This isn’t a depressive thing, rather it relates to my secret desire to be a character from a Wes Anderson movie and/or a long lost member of the Glass Family. These bands also go on the list, but there is the possibility that I may attend solo, in the event that Tubbs wants to go hear one of the heart palpitation bands. So, if I do my homework, and establish a basic frame of musical reference, I will be leaving the door open for musical transformation (you can’t have a moment, if you don’t know the songs). With any luck, after three days, I’ll get my perfect moment (of the Spalding Gray variety), where I commune with the godhead and my Coachella experience ends on a joyous note of hope. Next Up: The lineup, and what it means to me. Please let me know if you have your PM. Well first of all, Spalding Gray was a narcissist, and narcissists don’t really feel anything, they’re dead inside. So you really don’t want any sort of Spalding moment. That would be grayer that you expected. Secondly, Coachella is just another music festival. It’s really more for underage kids who need a place to get drunk, or twentysomethings a place to do E.
You might see some cool or historic act, but it’s not any sort of thoughtfully-designed happening that would invoke any sort of epiphany. It’s just another really big concert, where you walk around aimlessly between sets, and crash in your tent or hotel room later. Of course, Prince did go out and mix with the peasants in the camp the year he was there, but that was rare.